The San Joaquin Valley has the worst air quality in the nation; having a better understanding of our localized air quality is the first step toward addressing these problems. With this in mind, CCEJN has been engaged since 2014 in multiple community air monitoring programs that include a variety of methodologies (i.e., grab samples/bucket samples, temporary stationary monitoring, permanent stationary monitoring). This project is a collaborative effort between CCEJN, Arvin residents, and Blue Tomorrow, to provide continuous air quality information at the neighborhood level in Arvin, California, and engage and educate the community about local air quality. Eight air quality sensors were installed throughout the community to measure concentrations of air quality pollutants, including particulate matter (PM 2.5 & PM 10), nitrogen dioxide (NO2), ozone (O3), and Volatile Organic Compounds (VOCs). These sensors continuously transmit air quality data to a public website, arvinairquality.com. This website shows current and past air quality data and displays real-time pollution concentration and risk levels throughout the community of Arvin. Community members have been engaged throughout the whole project, from determining where to install the sensors, to disseminating the data throughout the community, to using the data to advocate for oil and gas policies that would protect public health. This project assists disadvantaged communities in the San Joaquin Valley (SJV) with planning and implementing a community air-monitoring system that identifies areas not being monitored by regulatory agencies (CARB, SJVAPCD), as well as hot spots within neighborhoods more heavily affected by greenhouse gas pollutants and/or criteria pollutants. The project will assess existing air quality in disadvantaged communities that are more heavily burdened by pollution due to their proximity to oil and gas facilities, distribution centers, incinerators, and biomass facilities. 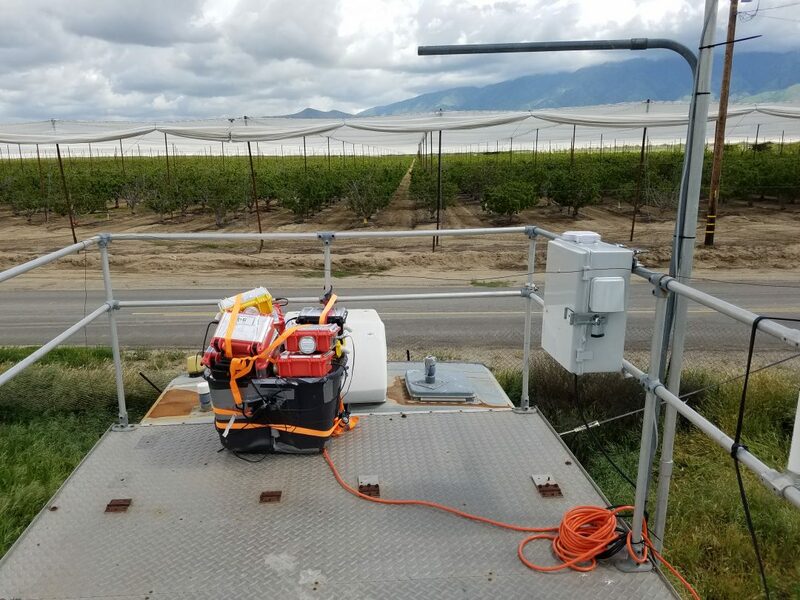 Building on our years of experience doing community air monitoring in Kern County, primarily around oil and gas facilities, CCEJN will expand these efforts to include other regions in the SJV and to also measure particulate matter (PM 2.5) and methane. To ensure our success in carrying out this project, CCEJN is partnering closely with the statewide collaborative Allies in Reducing Emissions (AIRE) and the region-wide collaborative San Joaquin Valley Environmental Justice Collaborative (SJVEJC), which is comprised of CCEJN, Central Valley Air Quality Coalition (CVAQ), and the Central California Asthma Collaborative (CCAC).